The Flyswatter JTAG board is a low cost USB based JTAG programmer for the Hammer CPU board. It can be used with all ARM processors that are supported by OpenOCD. It is based upon FTDI's popular FT2232 USB UART/FIFO IC. The Flyswatter provides a standard JTAG interface as well as a standard RS232 port with support for full modem signals. ARM 20-Pin JTAG Adapter - This adapter converts the Flyswatter's JTAG interface into a standard ARM 20-pin configuration. The package also includes 14-pin ribbon cable. BeagleBoard JTAG Adapter - This adapter converts the Flyswatter's JTAG interface into a standard TI 14-pin JTAG configuration. The package also includes a serial adapter board that converts the DB-9 Male connector located on the Flyswatter to a 10-Pin ribbon cable. This ribbon cable is used on the BeagleBoard Rev B/C boards to interface to the serial port. The 10-pin ribbon cable is included in the package. 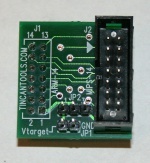 MIPS 14-Pin JTAG Adapter - This adapter converts the Flyswatter's JTAG interface into a standard MIPS 14-pin JTAG configuration. The package also includes 14-pin ribbon cable. The Flyswatter's serial port provides you with an independent functional "USB to RS-232" serial device. The serial port is completely independent from OpenOCD on both Linux and Windows. You can use the Flyswatter's serial port and never have to use OpenOCD or JTAG, or you can use it together with OpenOCD and have both a serial port and JTAG interface operating at the same time for debugging your target device. For Linux, the RS232 driver for the FT2232 is part of the main kernel tree and is provided in most standard Linux distributions. In Windows, you have to load the Windows driver for the FT2232. Once the driver is loaded, Windows will assign a virtual COM port to the Flyswatter's serial port. It operates just like a standard COM port. You can use the Flyswatter's serial port on laptops or PC's that do not have a 9-pin legacy serial connector. You can use Minicom to communicate with the Flyswatter's serial port on Linux. See the Minicom page for setup instructions. NSLU2: requires a JTAG connection to be added to the NSLU2 and nslu2.cfg, nslu2.ocd and Debug_handler.bin files. You can use these samples, but may need to edit the nslu2.ocd as appropriate. Zipit Z2: requires soldering directly to the Z2 board, and using z2.cfg and following this how-to. TinCanTools has a new JTAG debugger at Flyswatter2 that has support for OpenOCD and ARM Cortex A8 processors: OMAP3530 BeagleBoard and DM3730 BeagleBoard-xM. The Flyswatter2 is 5 to 10 times faster than the original Flyswatter. 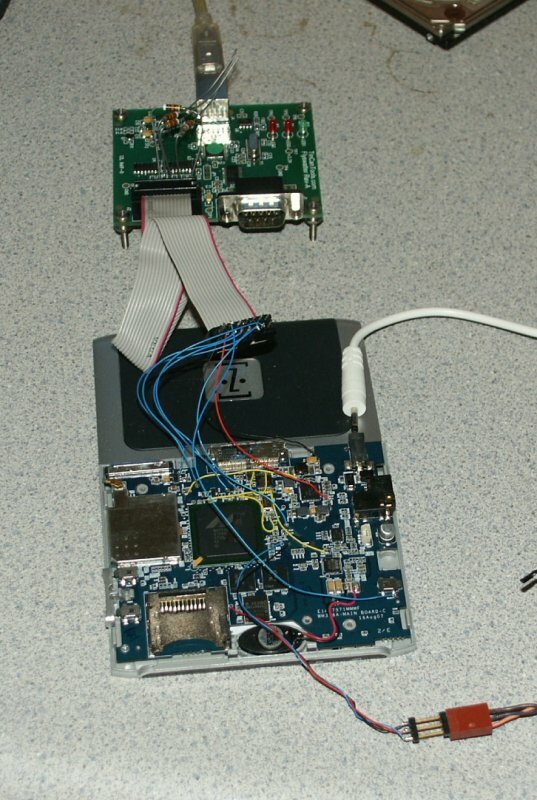 They also have a ARM20TI14 JTAG Adapter. 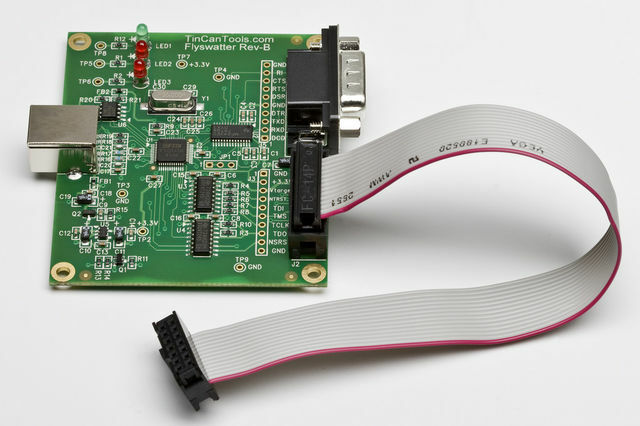 This JTAG adapter board works with the BeagleBoard and BeagleBoard-xM. The Flyswatter2 can be used with OpenOCD (Beagle (OMAP3xx) support is complete). Maybe it also works for the original Flyswatter, but not yet verified. If not, the idVendor and idProduct values must be adjusted. This page was last edited on 7 August 2014, at 11:05.